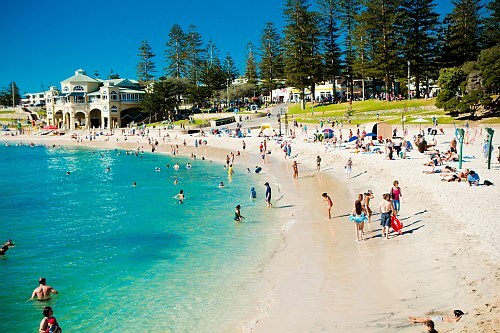 Cathay Pacific has dropped the price of their flights from Vancouver to Perth, Australia down to $1256 CAD roundtrip including taxes. You can also turn this into a 2-in-1 trip and visit both Hong Kong and Australia for $1256 CAD. This is a pretty good deal, but not quite amazing. - They're currently the cheapest flights from Vancouver to Perth. - You can break up the long journey from Vancouver to Perth with a stop in Hong Kong. - You fly non-stop from Vancouver to Hong Kong, and non-stop from Hong Kong to Perth. There's a 1 hour stop in Hong Kong on the way home. You can also substitute other cities in Australia for Perth (Sydney, Brisbane, Melbourne, etc) - although it's not as great a deal to Sydney or Brisbane, which have had non-stop flights from Vancouver in the $1000 range on some very good airlines (Qantas) in the last few months. You can also fly into one Australian city from Hong Kong and then home to Vancouver from a different Australian city. You can also find regular roundtrip flights to just Australia for about the same price. 2. You can play around with the dates in the months listed above. You can play around with the dates to give yourself more or less time in Hong Kong vs Australia. 3. You can click through from Google Flights to sites such as Priceline (which is $USD, beware). vancouver, yvr, flight deals, asia, east asia, cathay pacific, australasia, australia, sydney, syd, melbourne, mel, brisbane, bne, perth, per, hong kong, hkg and oceania.